Liver cancer. 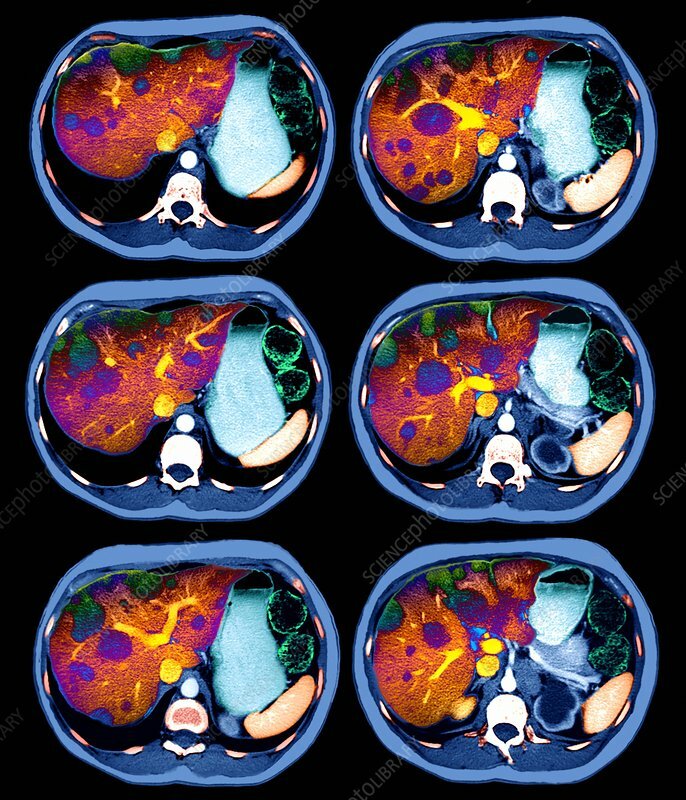 Six computed tomography (CT) scans through a female patient suffering from secondary liver cancer. The tumours are seen as blue dots within the red/orange liver. This cancer has spread from a primary tumour in the uterus. The spread of cancer from one site to another is known as metastasis. If a cancer has spread to another site in the body before it is diagnosed, the prognosis is poor. Liver cancer causes weight loss, lethargy and pain in the upper abdomen. Treatment of secondary liver cancer is usually merely to slow the progress of the disease, and usually involves chemotherapy.